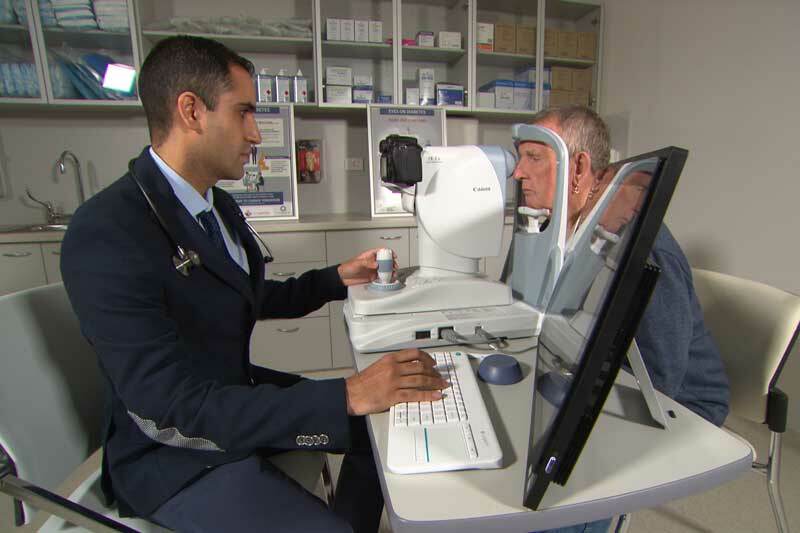 Researchers at the Commonwealth Scientific and Industrial Research Institute (CSIRO) have developed an artificial intelligence (AI) driven eye-screening technology which will enable GPs to test diabetic patients for diabetic retinopathy. Diabetic retinopathy is a diabetes-related complication that affects one in three diabetic people and can lead to blindness if untreated. Currently only specialists can screen for the condition. A trial was held at the GP Superclinic at Midland Railway Workshops in Perth, funded through an NHMRC (National Health and Medical Research Council) grant and base funding obtained from WA Health and CSIRO through the Australian Tele-health Research and Development Group. During the trial, GPs successfully screened 187 diabetic patients, taking high resolution images of their eyes, which were then analysed by the technology for signs of diabetic retinopathy. The images were also analysed by an ophthalmologist, to compare the performance of the technology. The technology was found to be as effective as the specialist in detecting signs of diabetic retinopathy and grading its severity. By analysing ophthalmologists’ grading data, the grading software was able to improve its ability to detect various signs of the disease in patients. The technology’s creator and trial co-lead, CSIRO’s Professor Yogi Kanagasingam, said the innovation could help people with diabetic retinopathy receive treatment faster. Patients at risk of this condition would usually be referred to a specialist for screening and would have to wait for six weeks or more. Now it can potentially be done in a single 30-minute visit to a GP. The software has been licenced by TeleMedC, who will seek to make the technology commercially available – with plans to install it at a further 20 GP clinics in Western Australia over the next few months, before expanding across Australia. Director of the GP Superclinic at Midland Railway Workshops and trial co-leader Dr. Amitha Preetham said industry-wide and multi-sector support for the uptake of medical technologies in primary care was an important step in improving health outcomes for our communities.